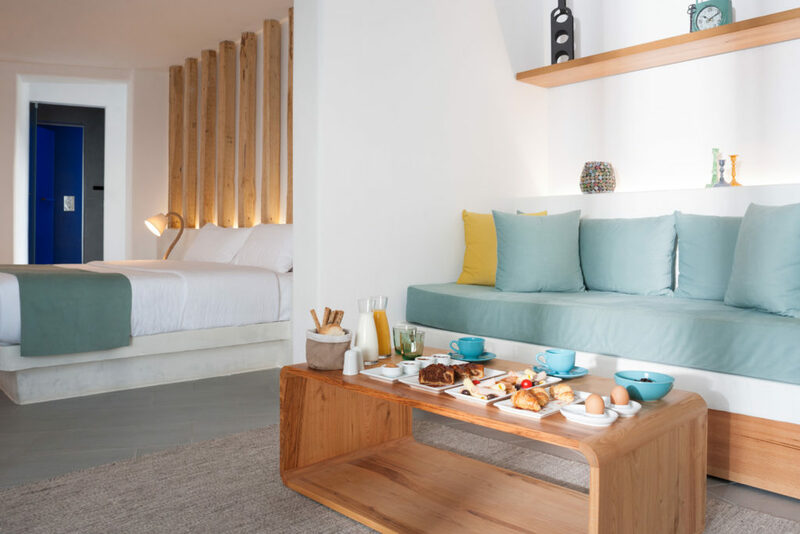 Description: Neptune Luxury Spa Suites is a new complex of luxury suites each with its own Private pool or plunge pool plus Hammam in each suite. 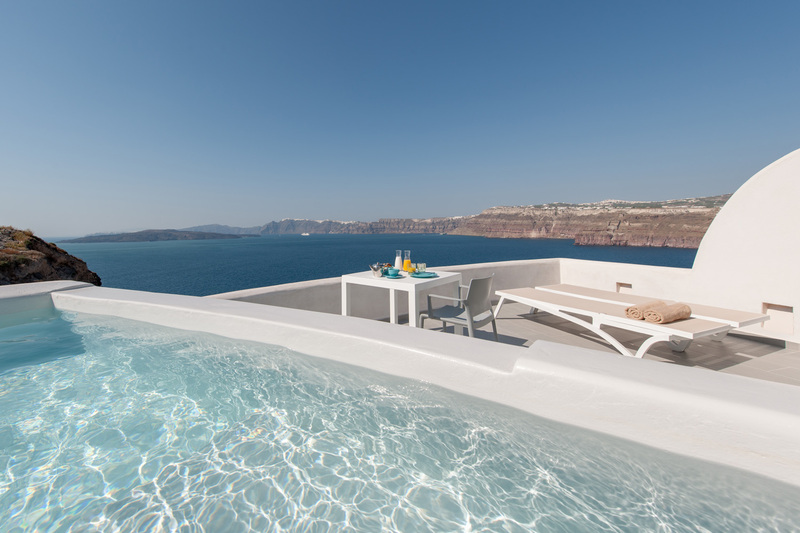 Spacious terrace with sunbeds and Parasols, Caldera views looking across to the small volcanic islands, what better place to enjoy the famous Santorini Sunsets. 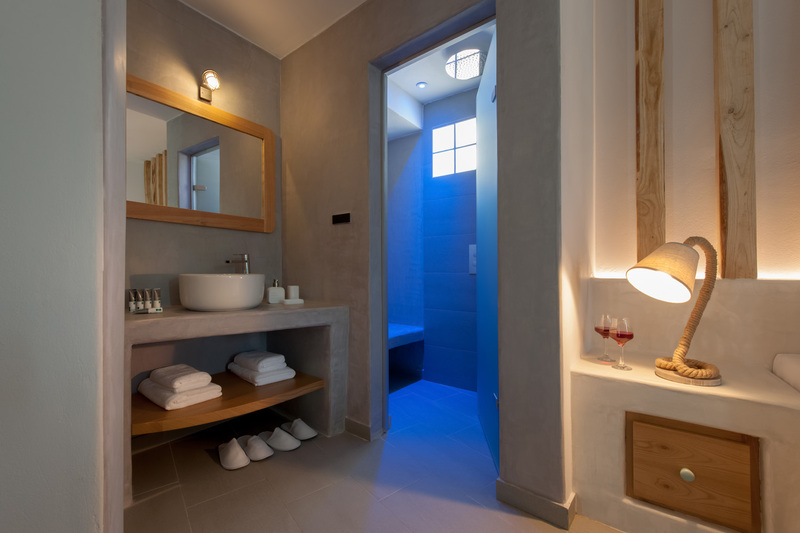 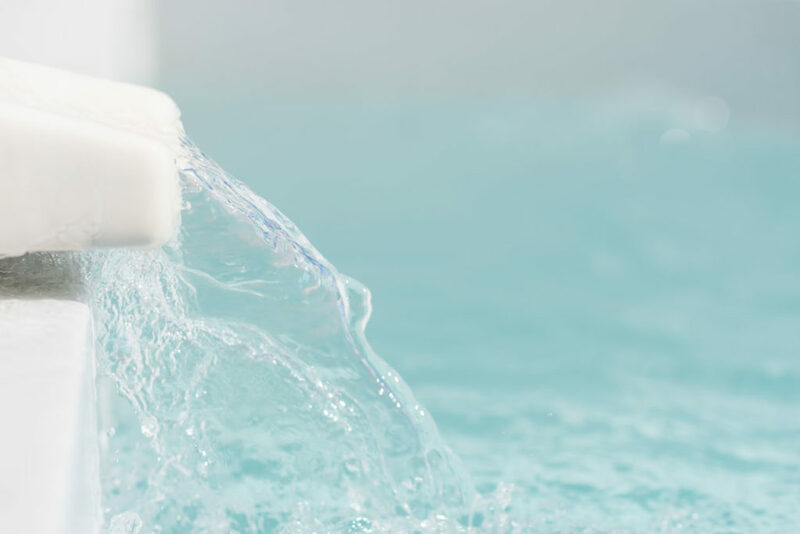 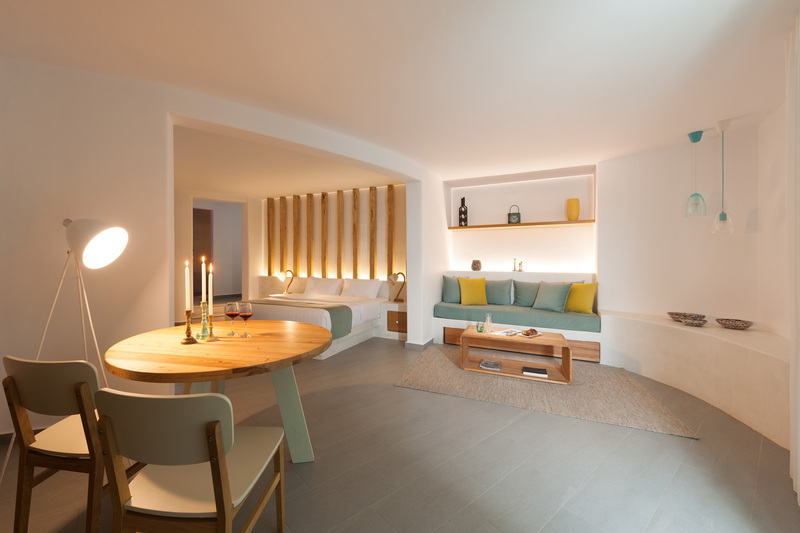 The Premium Spa Suites can accommodate 1 – 3 guests. 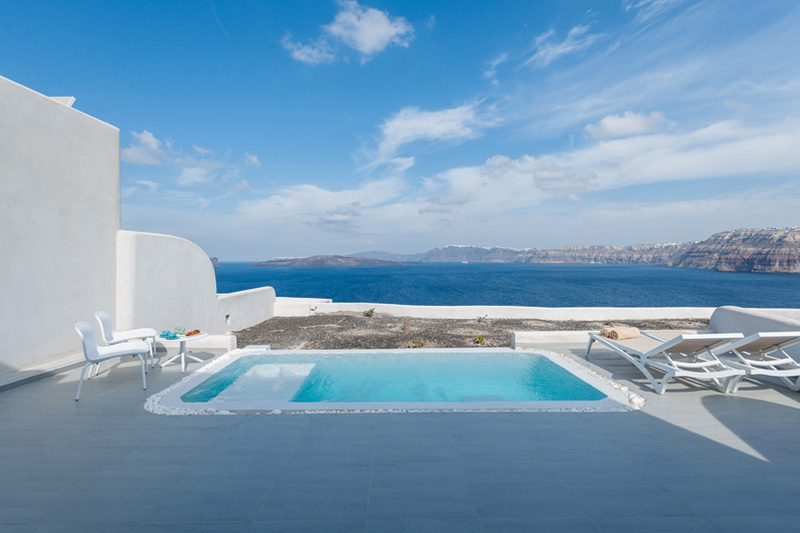 The property is in the south of Santorini near to the village of Akrotiri, overlooking the Caldera with views to the Volcanic Islands and the beautiful Aegean sea. 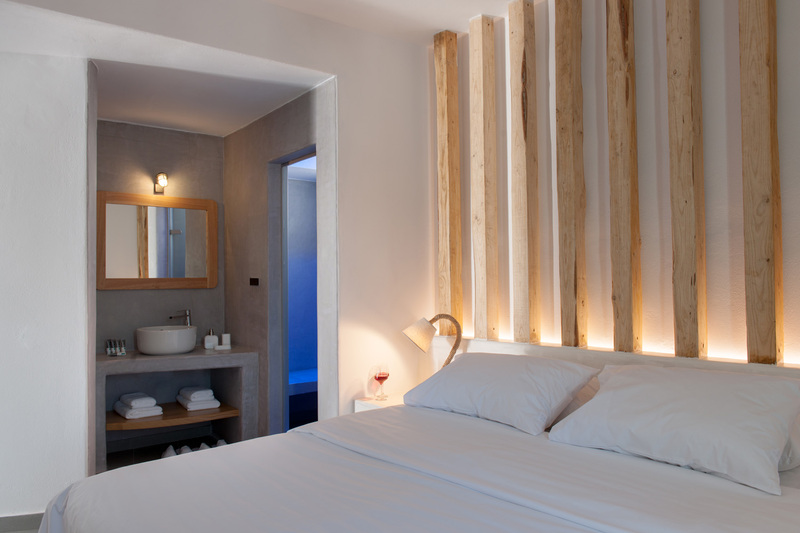 The nearest beach is 15 minutes walk from the hotel, a number of restaurants and tavernas are close by. 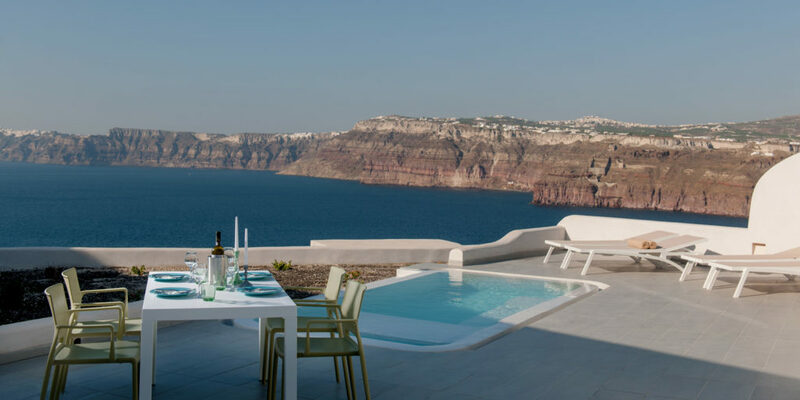 The excavations of Akrotiri are a 10-minute walk and the center of the village is just 1km away. 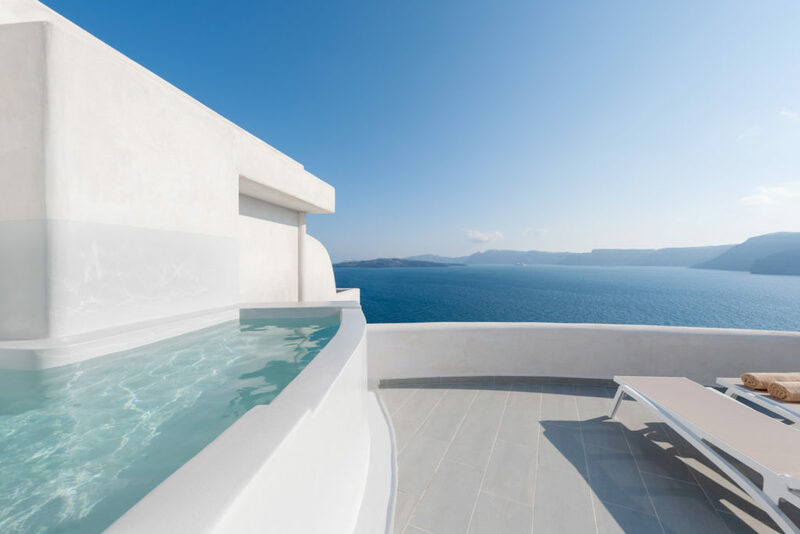 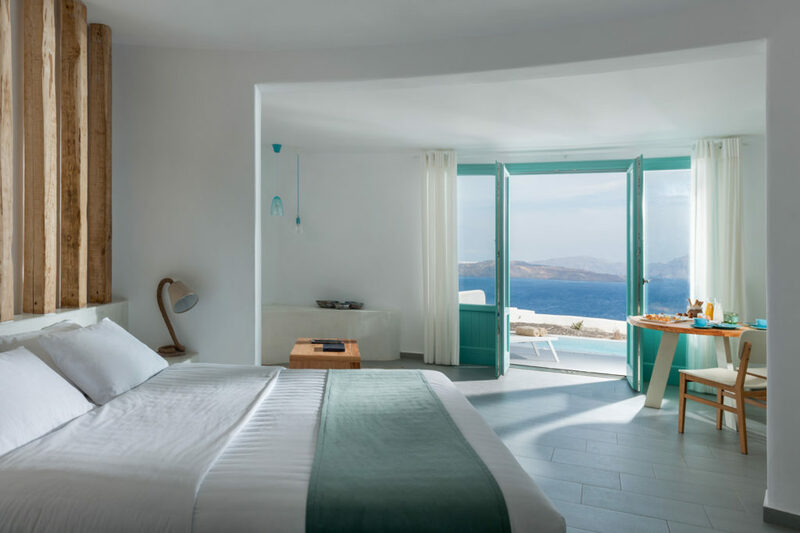 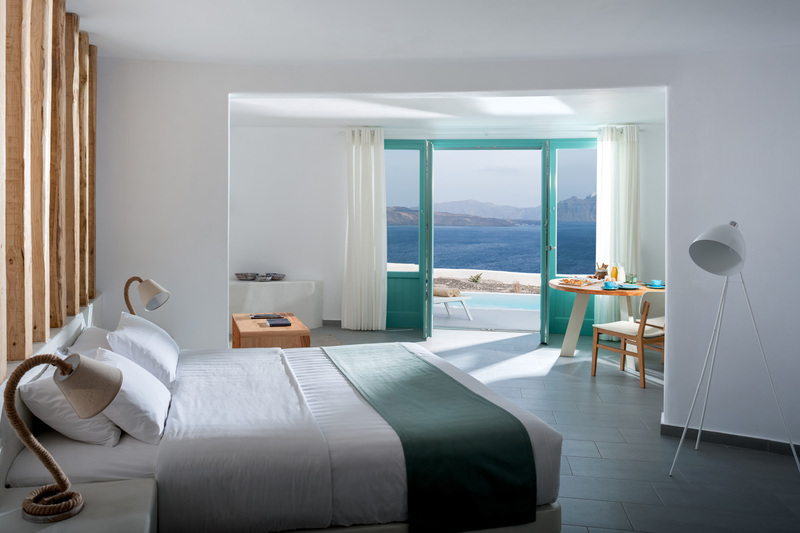 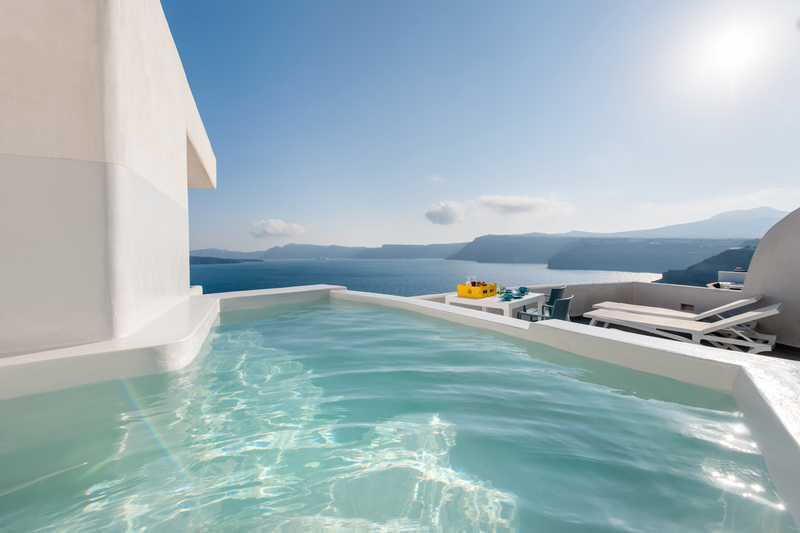 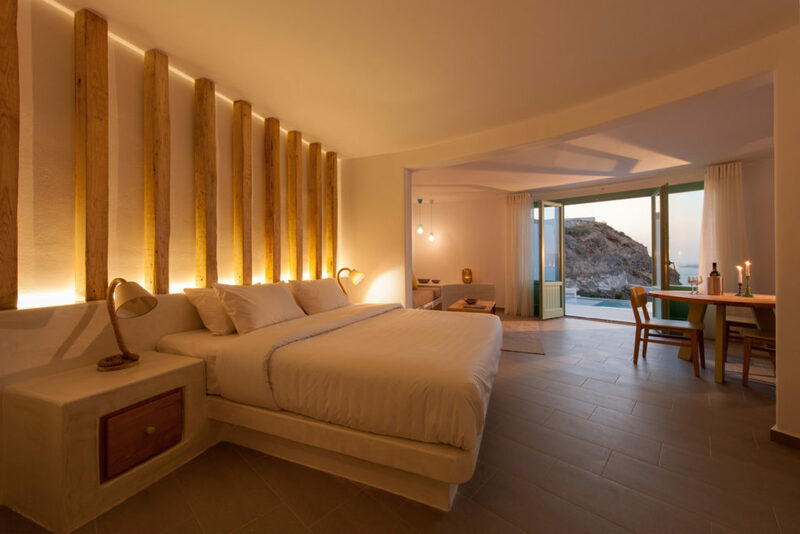 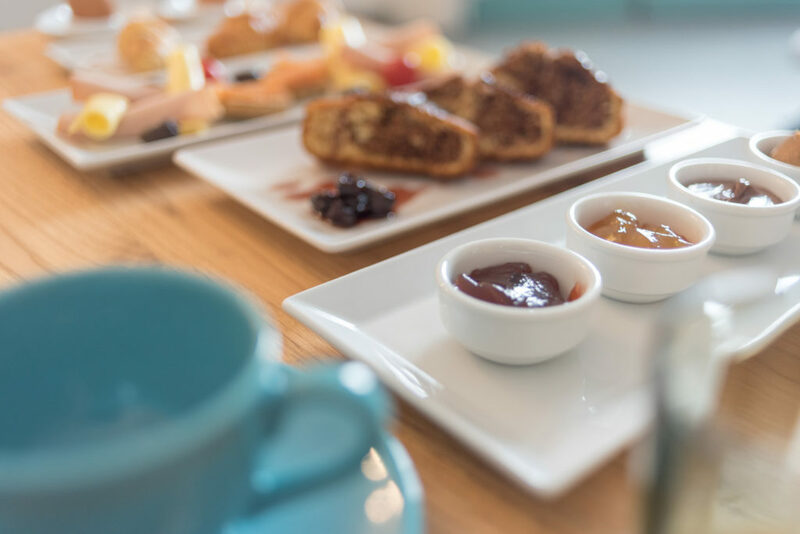 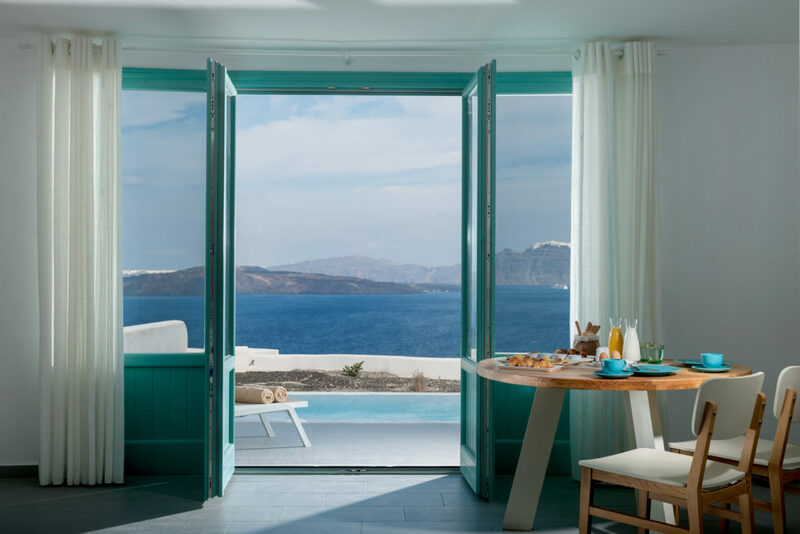 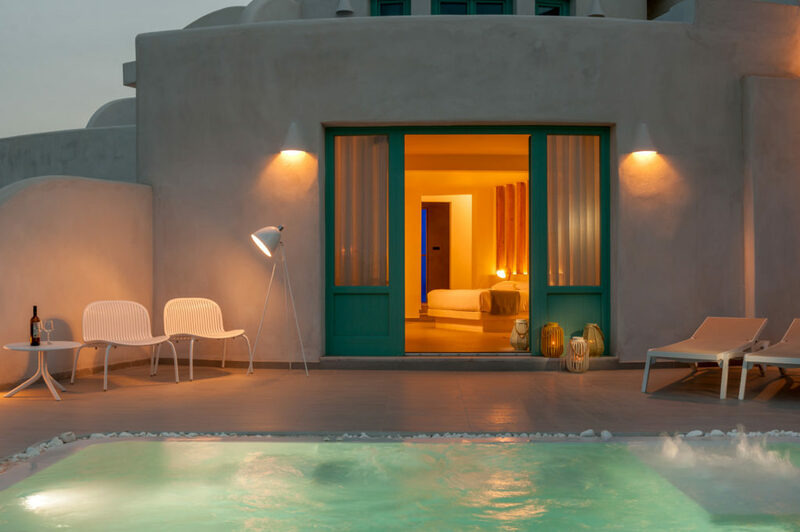 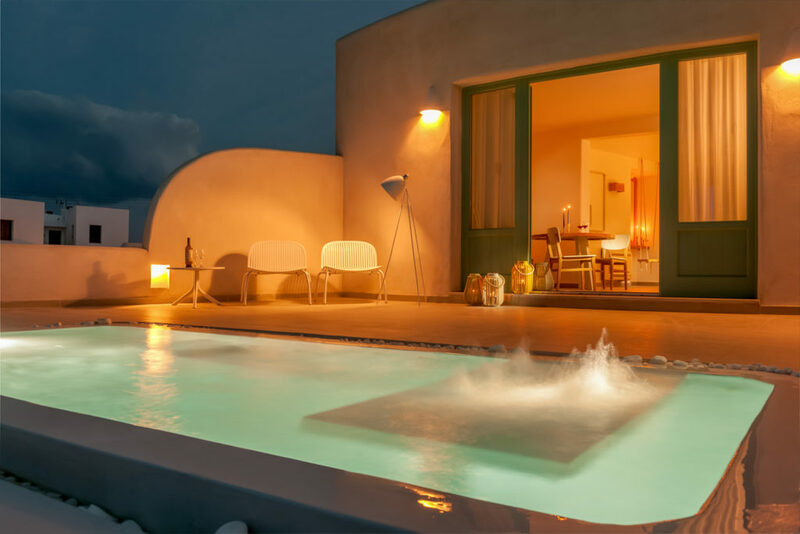 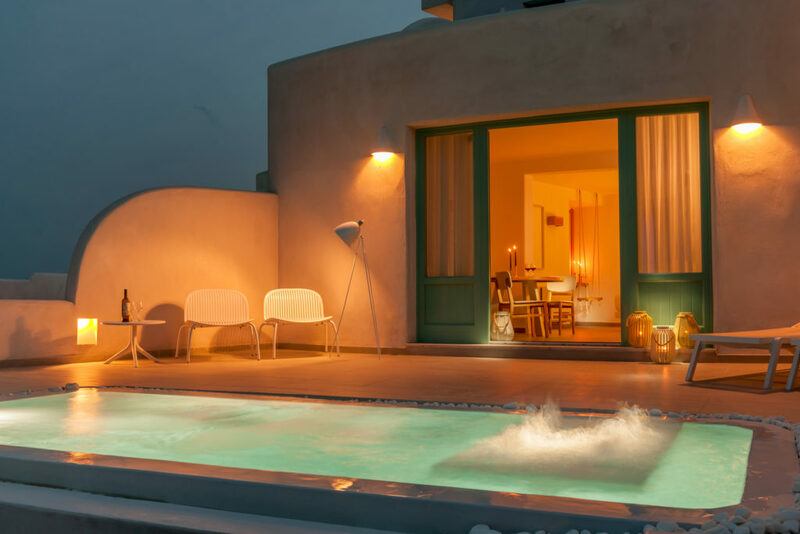 Weddings Santorini: The property has a total of 8 luxury suites making it a perfect choice for a wedding group or a special family get together. 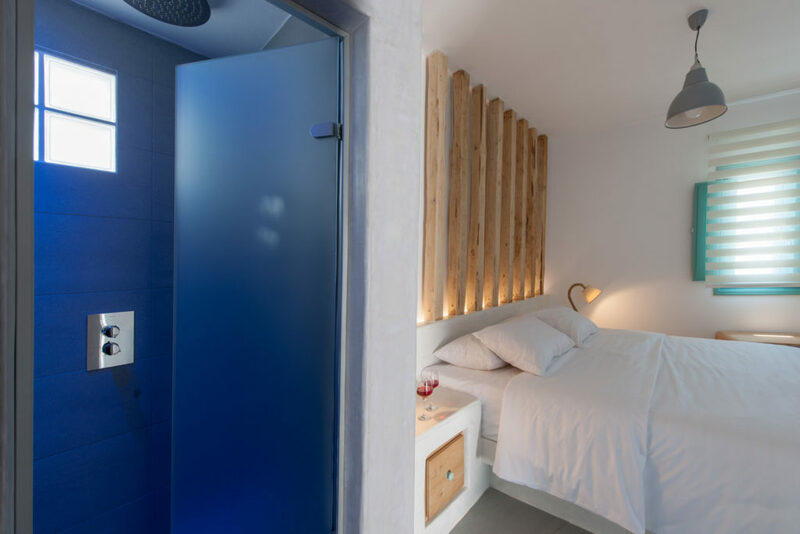 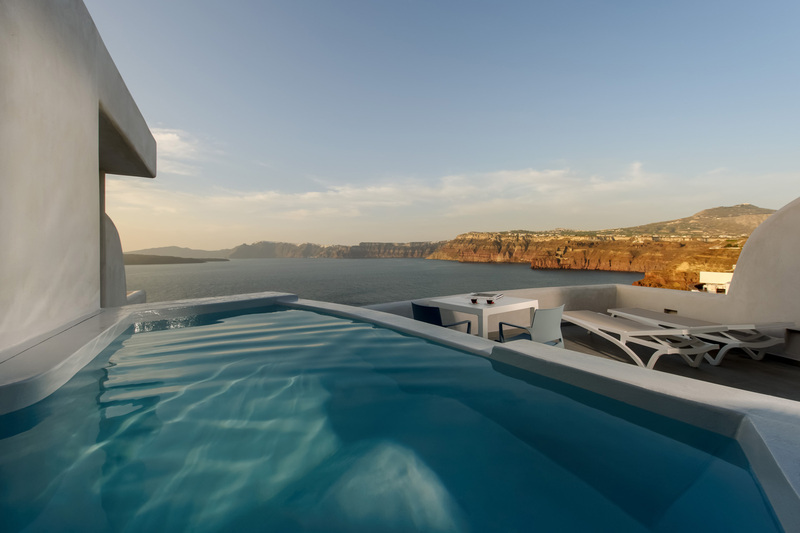 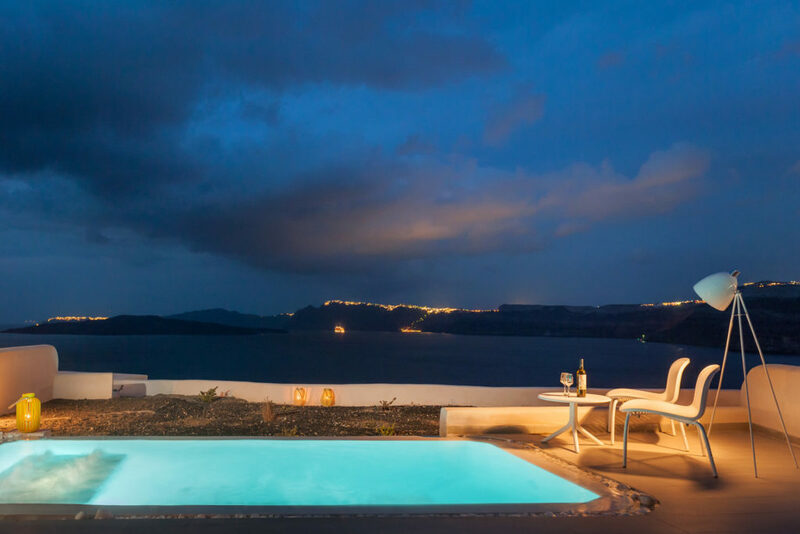 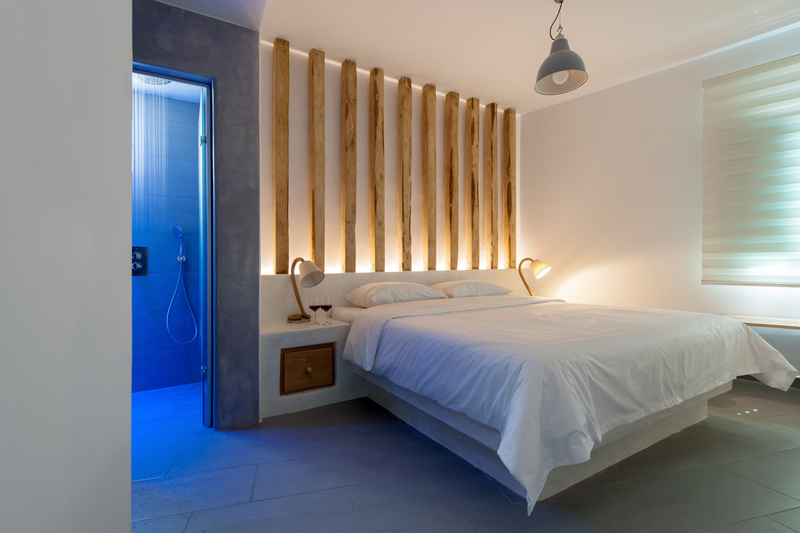 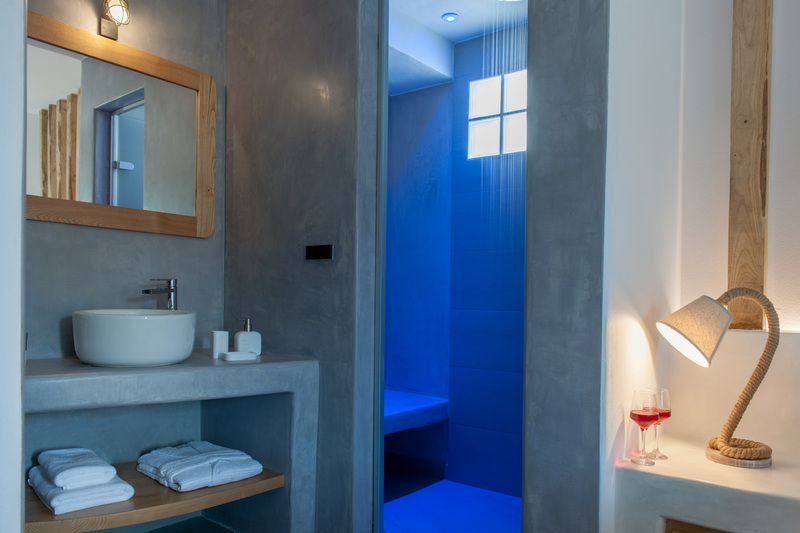 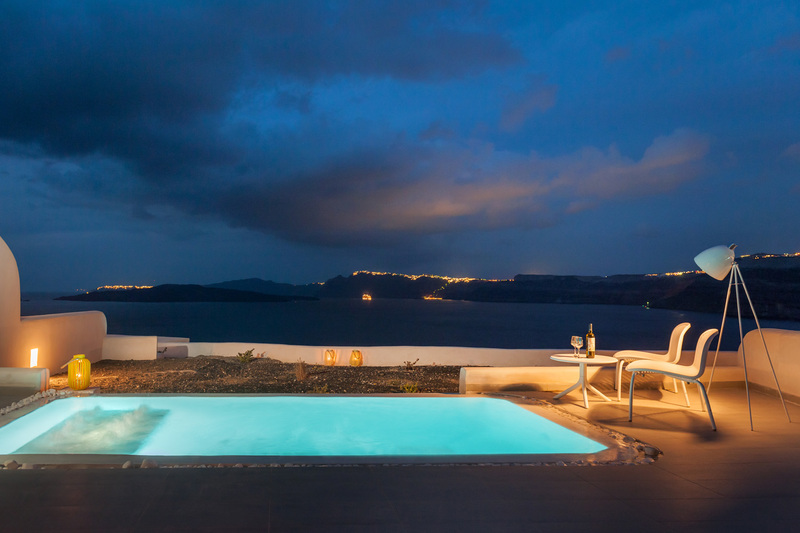 Neptune luxury Suites have a great location with wonderful views, each of the 8 suites have been furnished to the highest standard and with the benefit of a private pool is a top choice for a vacation in Santorini.